Can I set a hyperlink for the watermark by using A-PDF Watermark? I used your A-PDF Watermark to add text watermarks and image watermarks to my PDF files, I wonder if this software provides me with an option to add a hyperlink for the watermark that link to my website. If possible, can you tell me how to do this? 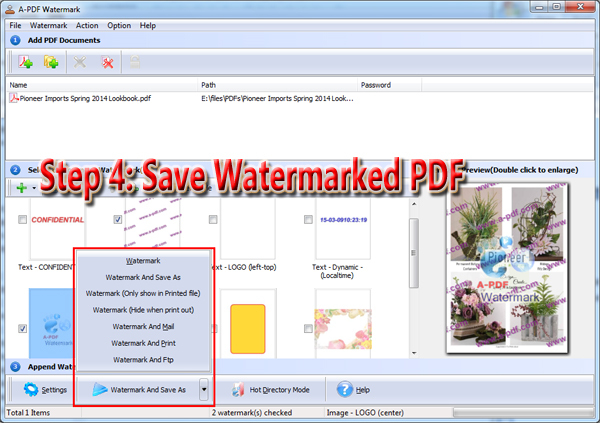 Yes, you can use A-PDF Watermark to set a hyperlink for the watermark while adding watermark to the PDF file. 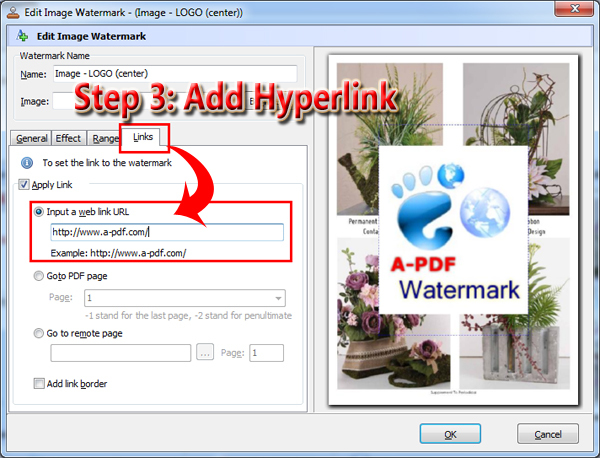 In addition to enabling you to add a hyperlink to link to your website, this PDF watermark stamper also lets you to add page link for the watermark. Below I will show you how to set a hyperlink for the watermark. After you start A-PDF Watermark, click "Add PDF document" or "Add directories to list" to add PDF files. 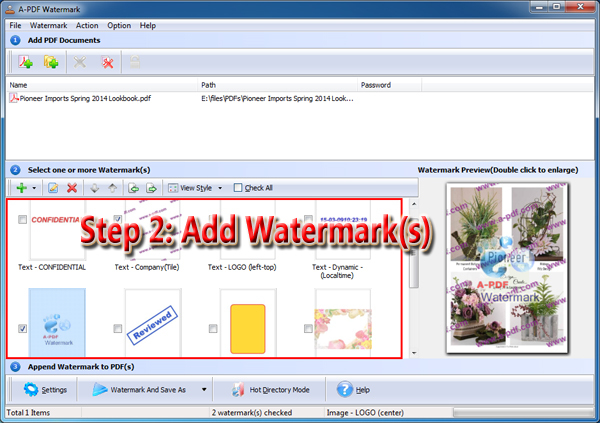 In the watermark list, select one or more watermarks. And you can add new watermarks by clicking the "Cross" button and then select a type. Double click the selected watermark and you will see the pop-up Edit Watermark window. Click the "Links" tab and check "Apply Link", then you can input a web link URL. Click "OK" to save the settings. Click the inverted triangle and select a type to save the watermarked PDF files. 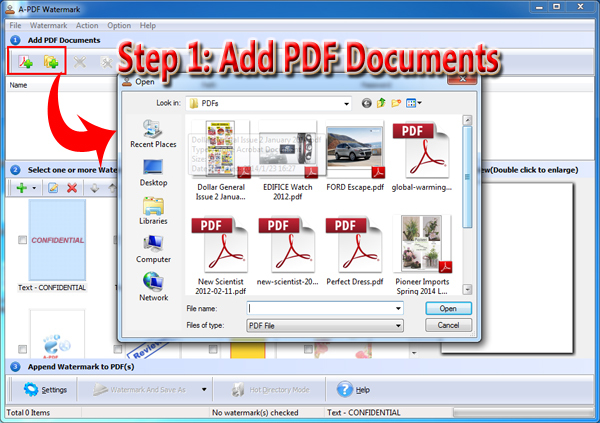 A-PDF Number Pro - Batch add Page Number to Acrobat PDF documents, including prefix and suffix.